STEP 1: Customize the look of the input box. STEP 2: Copy and paste the code into your website. The flexible customization allows the look of the embedded generator, to look similar to your websites graphics, so it will not stand out and will not bother your users. It is completely FREE, so you can use the code to embed into as many websites you want. 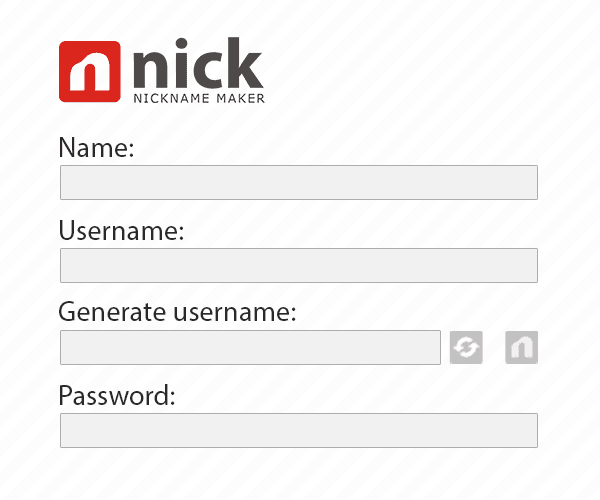 However if you like our Nickname Generator, don't forget to hit one of the LIKE buttons on the top of this page. Thank you!